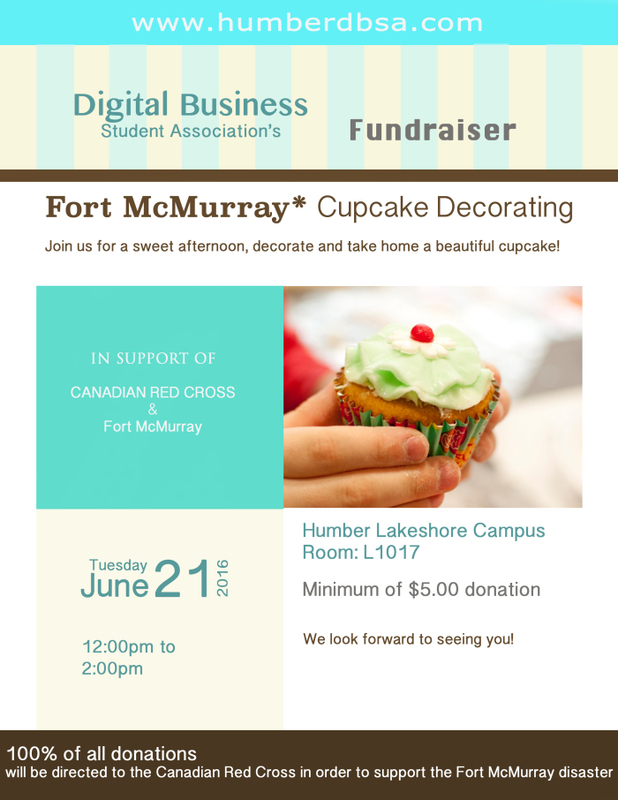 The Digital Business Student Association invites you to the Fort McMurray Cupcake Decorating Fundraiser on June 21, 2016, from 12:00 to 2:00 PM in room L1017 of the Humber Lakeshore Campus. Join us, decorate and donate! For a minimum of $5 donation, you will be contributing to a great cause, all while taking home a delightful cupcake. Bring along your children and invite your friends! Is this your first time working with fondant? Don’t worry! We’ll show you how to work around with it and create your own designs!